Canada isn’t all breathtaking mountain views and snowboarding, it also has a thriving music scene and surprisingly varied cuisine to delight your taste buds. The second largest country in the world isn’t just about wildlife-spotting and mountaintop adventures, there's a varied nightlife and colourful food scene. Whether you want to dance the night away or be dazzled at a Broadway show, you won’t be disappointed! It's also the birthplace of many world-renowned musicians and DJs, such as Tiga and Deadmau5, and the club scene is brimming with new talent, especially in the cities of Toronto, Vancouver, and Montreal. From the Fringe to Montreal’s Jazz Festival, Canada also has lots of great festivals to choose from all year round. 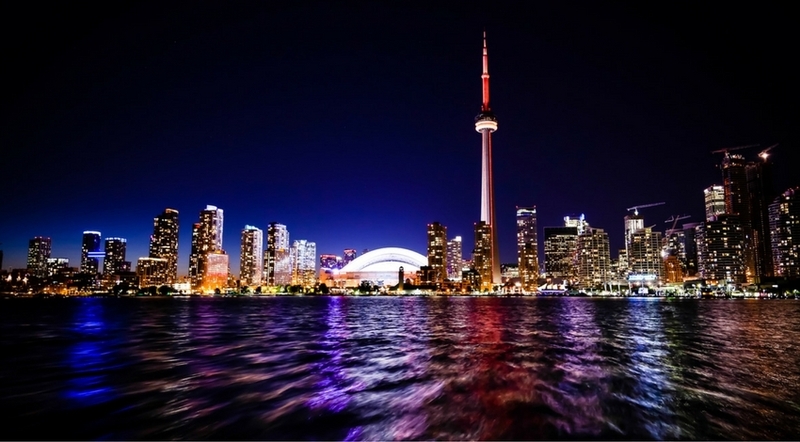 If you’re looking to party, then put on your dancing shoes and head to the entertainment district in Downtown Toronto. Around 30,000 clubbers hit the area on a Saturday night, located around King Street West between University Ave and Spadina Ave. This area is home to theatres and performing arts centres, a large number of cultural attractions and Toronto’s four major-league sports teams. Most of the city’s nightclubs are located here. The Hoxton usually has a mix of DJs and live bands on the weekend and if electro is your thing, then Uniun Nightclub is always a safe bet. You don’t have to go far here to find a show, with everything from Broadway musicals and comedy to more classic theatre productions. The Toronto Theatre District is the third largest English speaking theatre district in the world, and you’ll find landmark venues such as the Royal Alexandra Theatre, The Tarragon Theatre, and The Factory Theatre here. A number of festivals take place including the Shaw Festival in Niagara on the Lake, celebrating the works of Irish playwright Bernard Shaw, and the Toronto Fringe Festival at numerous venues. For food in the evening, try Kaho San Road’s seriously spicy Thai dishes or get a taste of more traditional Canadian cuisine at Canoe. The Victory Café will fill you up with their gastro pub food and you can enjoy the cosy pub atmosphere. Or for something a little fancier, try Scaramouche Restaurant Pasta Bar and Grill in Southill. If you’re looking for something different on a night out, then pay a visit to the Omnimax Theatre with all-enveloping IMAX screens projected in a dome. At a whopping 5 storeys high, you won’t fail to be impressed by the shows, many of which are educational and science-related. Vancouver’s Chinatown is the third largest in North America, and you’ll find the best dim sum and spare ribs here. 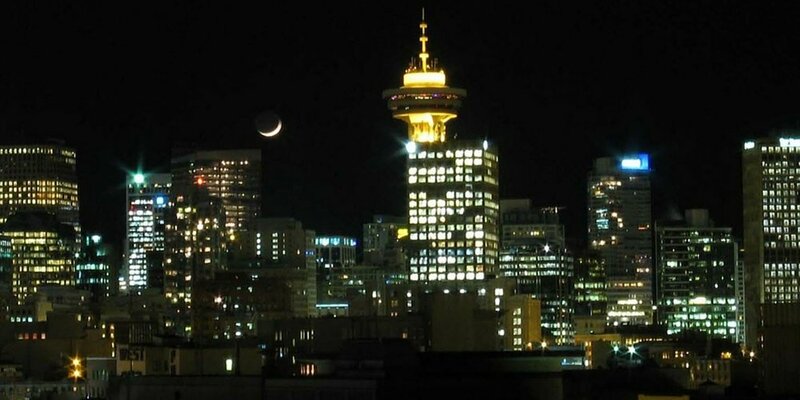 At night in the summer, Vancouver comes alive with night markets in Richmond, Surrey, and North Vancouver, and you’ll be overwhelmed by delicious aromas and the large selection of new foods to try, especially Asian, which dominates the food scene in Vancouver. If you haven’t tried fresh sushi, now is your chance! The main strip for bars downtown is Granville St, which is where a lot of Vancouver’s younger population head for a night out. Another decent strip is Mainland Street –Yaletown Brewery in particular serves fantastic brews. Start your night out in Gastown in Downtown Vancouver at an authentic Irish pub, The Irish Heather, or if you’re looking for a cocktail and more chic surroundings, then slink over in your stilettos to the George Ultralounge in Yaletown. You’ll find live music at the Commodore Ballroom on Granville St and more intimate gigs at the Railway Club. A stunning blend of the old and new, Montreal reveals its greatest secrets at night in its candlelit drinking dens and hidden gems down dusty laneways. The city also has one of the most exciting food scenes in Canada, brimming with irresistible patisseries, old Jewish delis, and Parisian-style food markets. From hidden dens to booming dance clubs, the city of Montreal owns the night. Many people end up somewhere on rue Ste-Catherine at the end of the night, an infamous nightlife district. Ste-Elizabeth’s is a favourite with the locals and if you feel like rooftop drinking, then you’ll find a host of bars with outdoor terraces just above Ste-Catherine at St-Denis. If you’re seeking a night of dancing and drag queens, then go to the Gay Village. Montreal has a thriving gay community and hosted the world’s first Outgames. For a little flavour of history then walk over to Old Montreal and visit Le Piano Rouge for a fun night of music and dancing at this intimate venue. You’re in luck if you visit in the summer, as Montreal hosts lots of great festivals, including the Fringe Festival, Just for Laughs Comedy Festival, and Jazz Fest. If you’re eating in Montreal, then you shouldn’t leave without trying Quebec’s favourite dish, ‘Poutine’. Made with French fries in cheese curds and topped with a gravy-like sauce, it may not sound tempting at first, but this dish has won the hearts of Canadians all over. Many large chains sell a version of it, but if you’re in Montreal then you should check out some of the nicer joints for your Poutine, such as The Green Spot, La Banquise, or the Garde Manger. Canadians on the west coast in cities like Vancouver tend to dress a bit more casual, but if you’re in Montreal, you won’t stick out if you wear full-on sequins, so go all out!